Do you need Permission for a Tiled Conservatory Roof? Many people are unable to enjoy their conservatory in summer and winter because it’s either too hot or too cold. A new thermally efficient Tiled Conservatory Roof will transform your conservatory’s look, feel and its temperature, keeping it cooler in the summer and warm in the winter, enabling you and your family to finally enjoy the space that brings the outside in and the inside out. Conservatories are exempt from building regulations when they are built at ground level and are less than 30 square metres or if the conservatory is separate from the house with external, doors or windows. 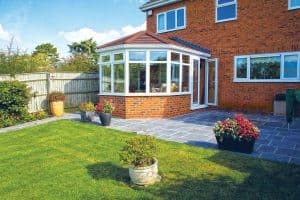 In 2010, the planning regulations changed to allow conservatories to have a solid roof without the need for planning permission, however its always a good idea to check if you need building regulation approval as some local authorities can be strict with changes to your home that may affect the wider environment, look of your property or your neighbours. An expert Conservatory Roof Company will also be able to advise you on this. A conservatory can add much-needed space to property, or provide a pleasant indoor space that connects you to the outdoors but, if your conservatory is over 15 years old, the roof is likely to be in need of maintenance or complete replacement. The positives of this are that the materials available for use on conservatory roofs have developed significantly and you now have several options with varying benefits when it comes to its replacement. A glass or polycarbonate roofed conservatory allows the natural light in offering a bright and airy sunroom, however, tiled conservatory roofs will transform what was once seen as just a summertime room, into a room that can be used all year round due to its warmth in the winter and coolness in the summer. If you’re thinking about a new tiled conservatory roof then tiles or solid conservatory roof panels may be the solution that offers you the look and feel you are looking for without starting again from scratch. Many tiles and panels are designed to easily slot together making the installation quick and the disruption minimal. Replacing an old glass or polycarbonate conservatory roof to a solid tiled conservatory roof creates a permanent extension feel to your home and can also provide additional strength and support to the existing structure. It will give you all the benefits of an extension without the added investment. The main disadvantage of installing a tiled conservatory roof is the amount of natural light coming into the room you lose. However, a new tiled conservatory roof offers additional strength, a revamped and modern look, comfortable temperature all year round and no need to be looking at dirty or smeary glass or polycarbonate panels. Another option may be to include roof lights into your tiled roof as it’s being replaced to ensure you still get some of the natural light coming in through the ceiling of the room. When you are considering replacing your conservatory roof, think about what you want to get from the room, is it just a spring-summer escape or do you want to be able to use it all year round, as this will determine the type of roof you replace it with. We are your Guardian Roof experts and can help you choose the right option for you and your conservatory. Guardian roofs are lightweight, thermally efficient and fully insulated enabling you to use your conservatory all year round. 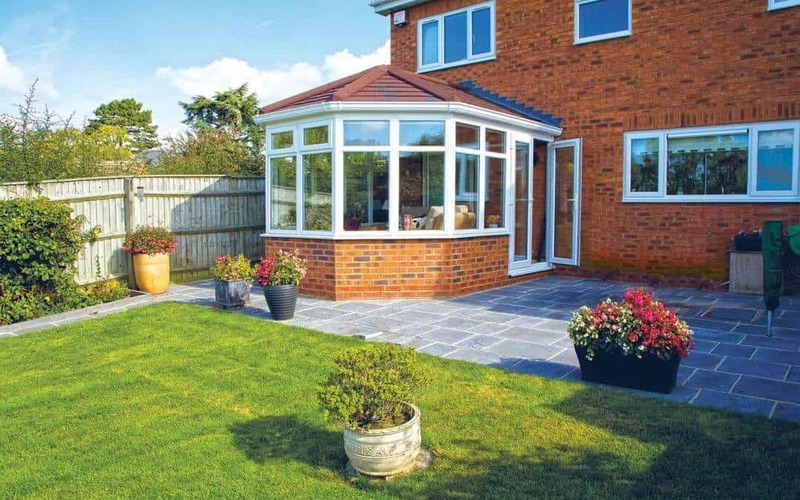 Our expert team and fully qualified installers will transform your conservatory into a delightful home extension that you and your family can enjoy every day. The main focus was on the dynamics and performance, however, the overall weight of the replacement roof, which needed to be installed onto the existing conservatory windows, doors and frames was always a big priority. During this period extensive tests were carried out both for compliance and approval to vigorous structural and thermal standards. The result is not only a brilliant product but a very practical solution, one which has been the biggest home improvement. For many people it’s the same issue, they love their conservatory but it’s either too hot, too cold or too noisy. Most of the issues are down to one element, the roof. By replacing the glass or polycarbonate roof with a stylish Guardian™ tiled roof, you don’t just improve the appearance, you now have a fully insulated soundproof roof that is exactly what you always wanted. Bright, modern and airy inside, and substantial and impressive on the outside. Installed by one of our Team Guardian Registered Installers, the whole conservatory roof transformation only takes a few days and is completed with minimal disruption to you or your home. Each Guardian roof is designed and engineered to your precise individual requirements and measurements and pre-assembled under controlled factory conditions to ensure the highest quality before its delivered to site. It has been independently proven that a Guardian Warm Roof can save you money on your energy bills, they use high-performance insulation that achieves a superior U-value of only 0.18 W/m.K (England & Wales) and 0.15 W/m.K (Scotland). There are a number of different conservatory styles and we can offer a solid roof solution for virtually any shape or size. Don’t worry if your conservatory isn’t a typical style as we offer a fully bespoke replacement roof service to suit any shape or size. The Guardian™ roof comes with a great range of roof tiles to choose from to best match your home. On the inside, you can choose from a modern plastered finish or if your room is naturally bright a timber finish may a better option. You can also enhance the light into the room by adding a skylight or two and to finish off, why not add some contemporary spotlights to bring the room to life in the darker winter evenings. If you are looking to update your conservatory roof with a more modern Tiled Conservatory Roof then a Guardian Roof is just what you are looking for. Contact us today on 0845 314 2454 and one of the team will be able to answer any questions you may have and arrange a no-obligation quote. 2017 © Digital NRG Ltd.